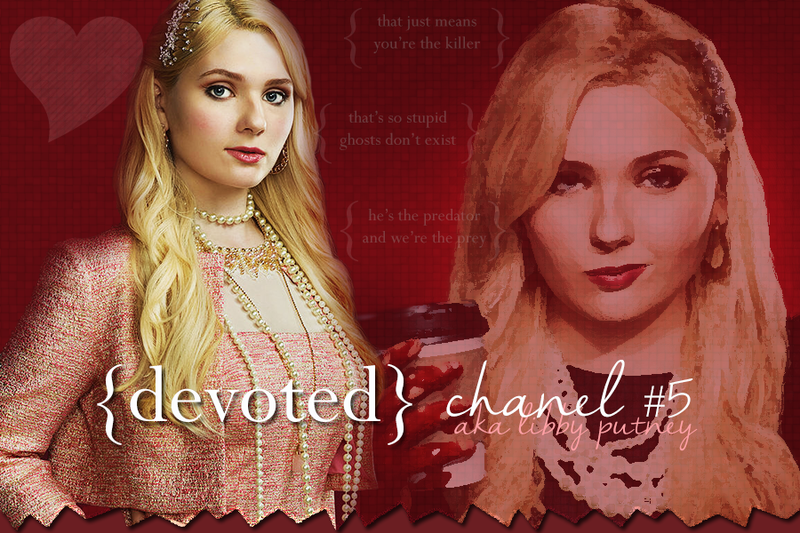 Welcome to Devoted, a fanlisting for Chanel #5 aka Libby Putney, a character from the television series Scream Queens, portrayed by Abigail Breslin, approved by thefanlistings. This lovely fanlisting is owned and designed by Kristina, and is part of The Fantom collective, maintained using Enthusiast, and approved on 9 August 2016 by The Fanlistings network. This listing was last updated on 23rd February 2019 with 6 total members, and 0 pending. Welcome to the newest member : Kristina!